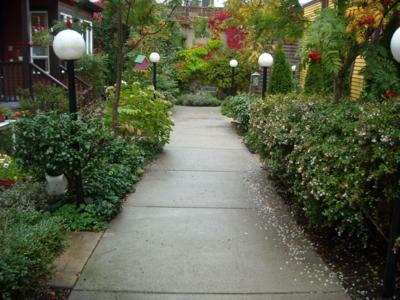 Welcome to this beautiful fully renovated townhouse in beautiful Vancouver, BC located in the historic neighborhood of Strathcona. This is a wonderful 1250 foot square foot home for you to enjoy spread out over 3 levels. 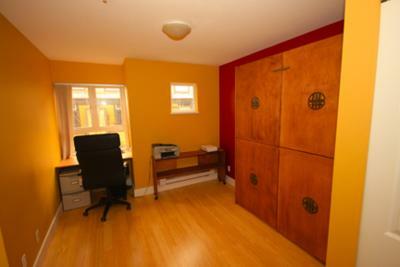 This home is recently remolded with hardwood floors and new carpet. When you walk into this home you enter on the main floor which has an open kitchen and living room plan great for unwinding or entertaining. 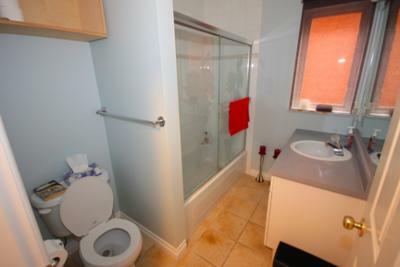 Enjoy the beautiful skylight and convenience of a powder room. 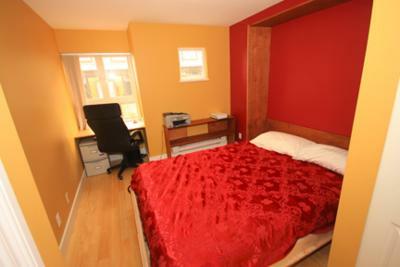 There is a 42 inch TV with DVD player, high speed wireless Internet access and full cable package. On the second level there are 2 bedrooms and a full bathroom. 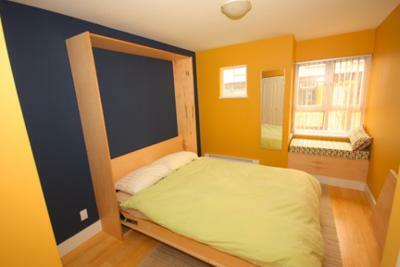 Each bedroom includes a full queen size Murphy Bed wall beds, desks and closets for storage. 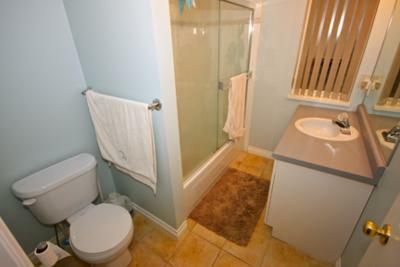 The 2nd level also has a full bathroom. 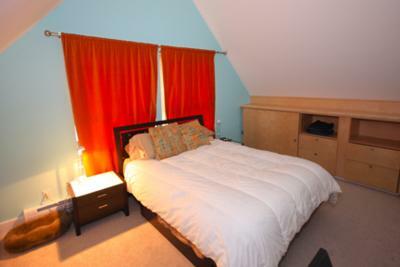 The 3rd level has a beautiful skylight leading up to the private master bedroom which has character vaulted ceilings. 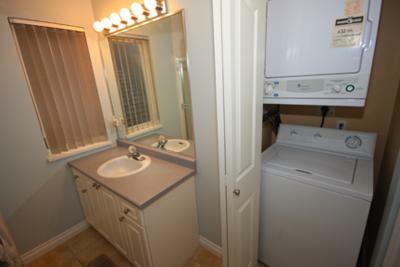 There is a full bath with washer and dryer. 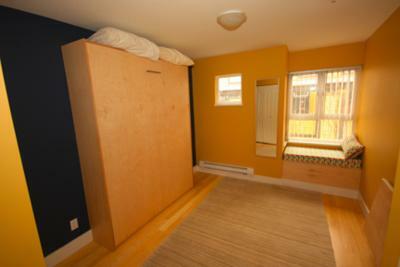 The master bedroom has plenty of closet space with added storage under the bed frame. 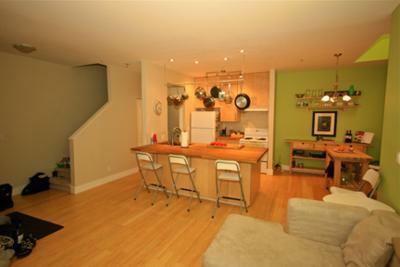 This home is situated in a quiet cull de sac in the historic and trendy neighborhood of Strathcona in Vancouver. 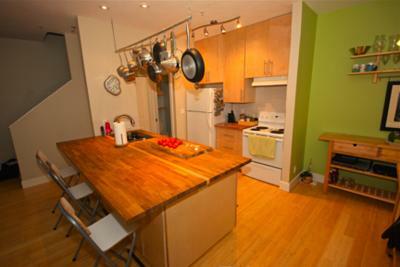 The home is close to Commercial drive, Chinatown, downtown Vancouver, Gastown and Main Street. There is access to many buses within 1 -3 blocks of this home as well as 2 gas stations and a Starbucks with drive through. You can walk door to door to GM and BC Place open and closing ceremonies venue along with ice hockey venue within 30 minutes. The home is also only a 30 minute walk away from the Pacific National Exhibition, where figure skating events will be held. 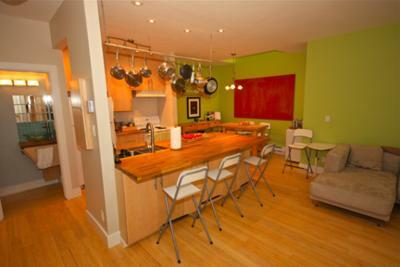 You are minutes to two trendy coffee shops and a new cheese and wine store with a 40 seat sit down restaurant. 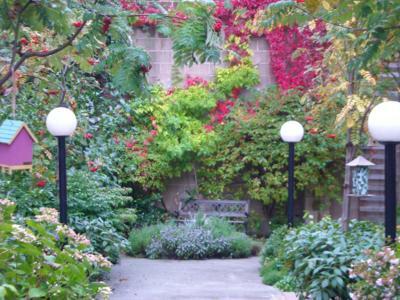 There are 2 beautiful parks in this neighborhood, Mclean Park which is great for kids and people watching along with Strathcona Park. 2 blocks away there is a school which has new playground equipment, perfect for the kids. Within 3 blocks is historic Strathcona School, home to one of our local community centers, a great new playground for children, and the Trans Canada trail which is great for walking or biking. You can be on the sea wall within 10 minutes on bike. You can easily walk up to the trendy Commercial drive named one of the top 15 hippest neighborhoods in North America within 15 minutes. The Drive, as it is known, is home to 20 blocks of cool shops, restaurants, post offices, doctors offices and connects to the 2 sky train lines in Vancouver.